Hands down, flying to Lukla is the shortest and most popular route taken by the trekkers on their trek to Everest Base Camp. 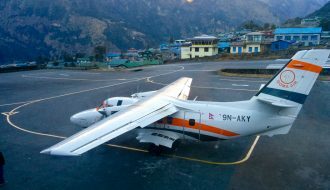 However, considered one of the most dangerous airports in the world, Lukla airport sees several flight disruptions every season due to bad weather. Hence, a lot of people inquire about the alternative routes to get to Lukla. 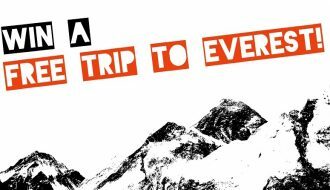 If you are a thrill seeker who wants more peace, authenticity and have extra days to spare, below are the alternative Everest base Camp trek routes that you can take to avoid the uncertainties of Lukla flights and save some good bucks! 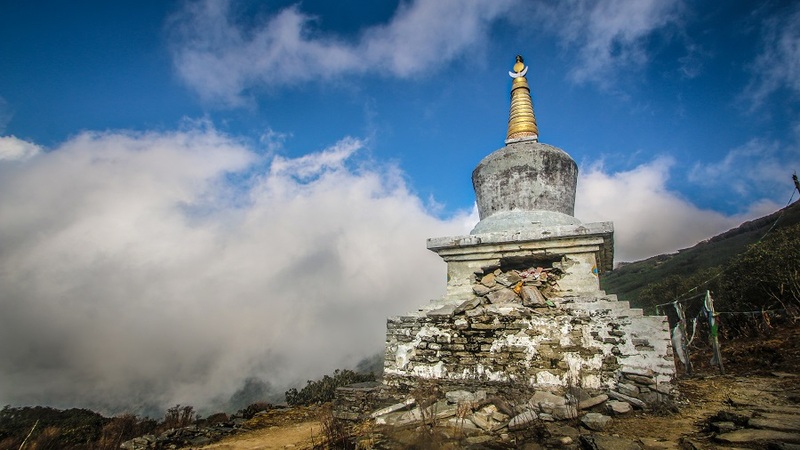 See the general 14 Days Lukla to Everest Base Camp Trek itinerary here. 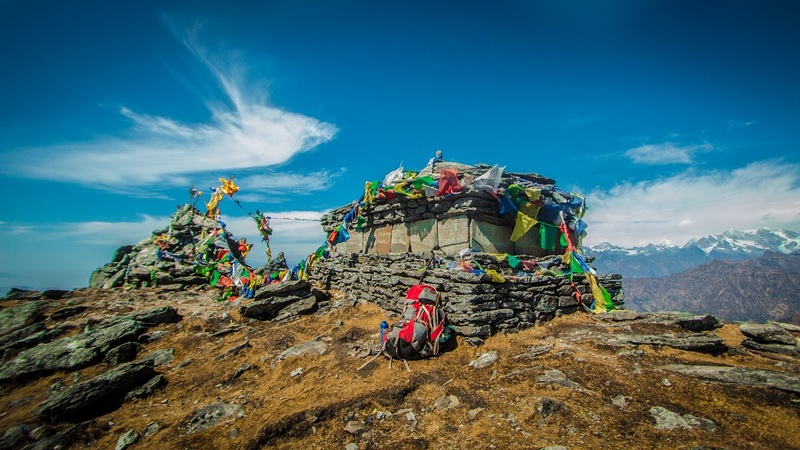 Salleri/ Phaplu to Everest Base Camp Trek is your shortest alternative to Lukla. [Please note that Phaplu is only a 20-minute walk from Salleri]. This route takes you on a ride through the highs and lows of the mid-hills through real villages inhabited by ethnic groups like Sherpas and Rais. Here, you will be greeted by Khachhars (mules) more often than travellers. Mules are one of the most prominent sources of transporting food and supplies to the higher altitudes. Hence, some broken trails are expected! However, walking through this route will definitely give you an amazing experience. Best time to go: Anytime except for June – August. Getting to the Salleri/ Phaplu: There are multiple options to get to Salleri/ Phaplu. Salleri is around 265 km away from Kathmandu. You can catch buses or jeeps from Koteshwor (that operate every day until Midday). The ride is about 8 hours. The ticket price is usually NPR 1,100 (Buses) and NPR 1700 (Jeeps). The rate is generally higher for foreigners. Flight to Phaplu is another option if you don’t wish to take a bus ride and save some additional time. Normally, there is only one single flight to Phaplu each day. The ticket prices are about USD 155. 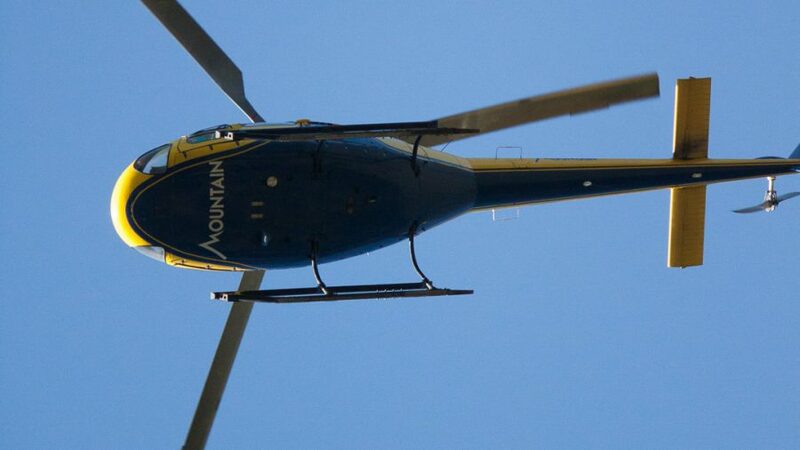 However, the weather is another factor that can affect the operation of flights in the mountains. So, flight cancellation is a possibility. Jeep/ Bus Ride can be a thrilling add up to your trip. And, the walk in the second and third day between Kharikhola and Chheplung can be strenuous as hundreds of Mule herds pass every day, making the trails slippery. If you wish to know about any place along the Everest Base Camp Trek route and know about the accommodation, services, attraction, side trips, etc., you can browse through our Places in Everest region page. Watch the Day to Day itinerary and cost breakdown of Salleri to Everest Base Camp Trek [18 Days] along with detailed information and services in each night stop. You can also book your lodges directly with the service providers. Additional Permits: Sagarmatha National Park Permit (USD 33) and Khumbu Rural Municipality Permit (USD 20) will do. No additional permits required. 1. Chiwong Monastery at Chiwong. 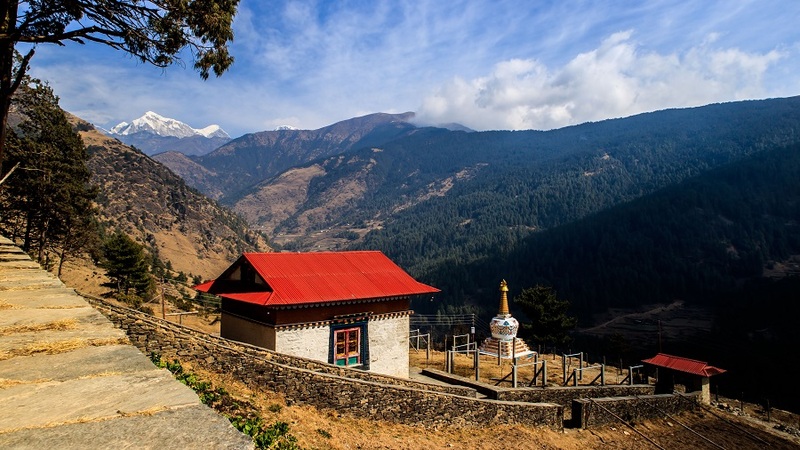 Everest base camp trek route via Jiri is the classic route taken by the early day explorers like Edmund Hillary and Tenzing Norgay when the Lukla airport wasn’t into existence. Comparatively less popular and way longer, Jiri – Everest trek is still preferred by adventurers, as well as nature and culture lovers who wish to explore the authentic self of Nepal beyond the mountains. The trail is filled with pristine views of mountains and takes to the breathtaking alpine landscape. Jiri to Everest Base Camp trek starts from a small town called Jiri (a village in the Eastern region of Nepal) and takes you along beautiful villages of mid hills, terrace farms, monasteries, and hospitable locals of Hindus and Buddhists. These days, you can also start your trek from Shivalaya (often preferred by travelers) as it saves you 4 hours of your precious time. After the earthquake, the tea houses of this section has been affected, and there are limited tea houses here. But, since this trail doesn’t see a huge number of travelers, accommodation shouldn’t be a major problem. More people trekking through this route can help bring back hope and uplift the economy back to rebuild tea houses in the villages along this trail. Bus/ Jeep to Salleri or Phaplu (1 Day) and trek: Jiri is around 190 km away from Kathmandu. There are regular buses that leave every morning (around 6 am) from Ratnapark. The ride is about 8 hours. The ticket price is usually NPR 700. The rate is generally higher for foreigners. You can also get on the bus to Mali or Shivalaya for the same price from the same location and get down in Jiri. If you are worried about not getting a seat, you can pre-book your tickets a day ahead from ticket counters in Ratnapark itself. The trails between Jiri and Chheplung (the point that connects the trail from Lukla) is pretty strenuous encompassing multiple steep uphills, downhills, slippery mule trails, etc. The trails are well marked, however, aren’t maintained regularly. Accommodation: The tea houses below Chheplung (intersection where trail from lukla meets) are very basic and comparatively cheaper. Tea houses in this trail have been affected by earthquake. However, they are being rebuilt and you can find places to stay. Please don’t expect services like in the commercial trails via Lukla. Watch the Day to Day itinerary and cost breakdown of Jiri to Everest Base Camp Trek [22 Days] along with detailed information and services in each night stop. You can also book your lodges directly with the service providers. 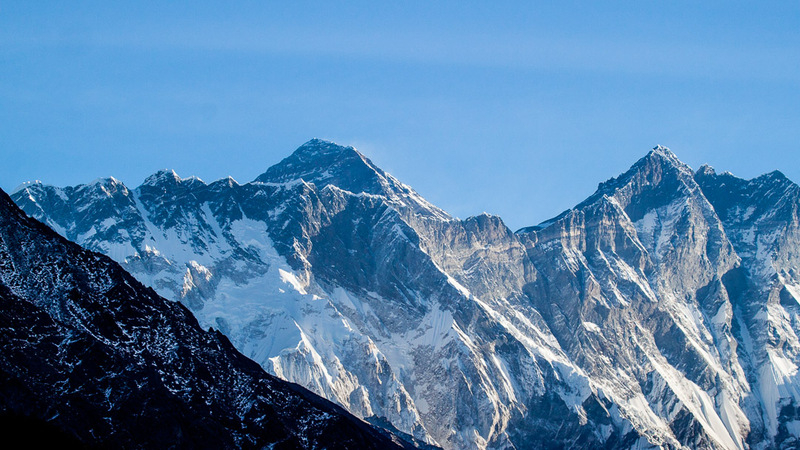 Additional Permits: Besides Sagarmatha National Park Permit and Khumbu Rural Municipality Permit, you will also need Gaurishankar Conservation Area Permit (USD 20). 1. Thupten Choling Monastery at Junbesi. Read more: Everything about Everest Base Camp Region.